World Options offers a first class, highly competitive parcel delivery service for businesses. As a proud authorized reseller for UPS, we are able to provide customers special UPS rates through our online shipping portal. This is where World Options come in. We offer businesses that have shipping needs a first-class online parcel delivery service at the click of a mouse, via our online shipping portal. The World Options online shipping portal helps to solve business customers' shipping problems. The portal connects with the leading carrier UPS to provide online quotes in seconds and enables the business customer to book shipments online easily, creating a loyal and long-lasting customer base. You build relationships with them and demonstrate how to place orders online. The business is encouraged to activate an account and they instantly become your customer. You look after them and the system does the rest. 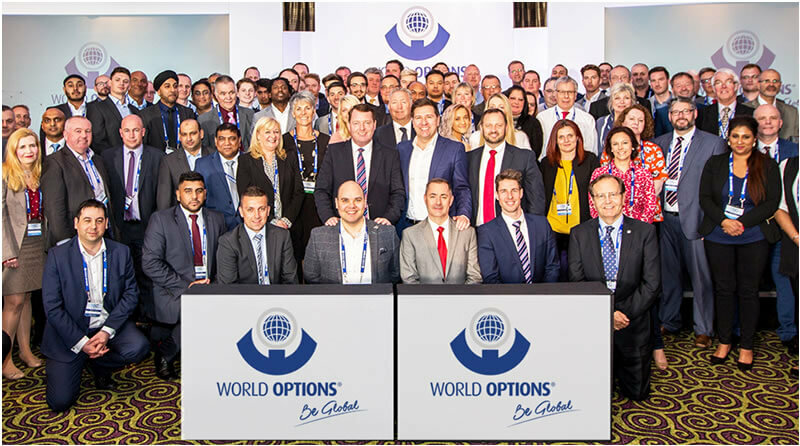 We are offering hard working, business-minded people, who are looking to become their own boss, the opportunity to join World Options as a franchise business owner. With online shopping now a part of everyday life, shipping has become an extremely lucrative industry to be part of. Becoming a World Options franchisee opens a huge growing market to profit from. With World Options, you become a business owner but you are not on your own. You will get in-depth training so that you understand the product and practical support to take the hassle out of running your franchise. Your clients will be supported by our customer support team and all your customer invoices will be automatically generated. Leaving you free to run your business and enjoy the rewards. To invest in a World Options franchise, the typical start-up cost is $42,000. The information on this website is not intended as an offer to sell, or solicitation of an offer to buy a franchise from World Options Inc and should be gathered for information purposes only. Any offer of a World Options franchise is made by means of our Franchise Disclosure Document only. World Options franchises are available to qualified prospective franchisees only in certain States. Please call James Edwards directly at (888) 308-5116. World Options is currently accepting inquiries from the following states: Alabama, Alaska, Arizona, Arkansas, Colorado, Connecticut, Delaware, Florida, Georgia, Hawaii, Idaho, Iowa, Kansas, Kentucky, Louisiana, Maine, Massachusetts, Mississippi, Missouri, Montana, Nebraska, Nevada, New Hampshire, New Jersey, New Mexico, North Carolina, Ohio, Oklahoma, Oregon, Pennsylvania, Rhode Island, South Carolina, Tennessee, Texas, Utah, Vermont, Washington, D.C., West Virginia, Wyoming.